until May 5, 2017 or until the rest of the inventory is gone at a super discounted price! get a super discounted price including shipping! CLICK HERE to purchase your author signed copy today! This series is similar to the Chicken Soup for the Soul series, in that several authors per book share their insights and stories that will empower you and support you in making changes in your life! I have listed a link to some gifts and an opportunity to receive a recording of some of the exercises I talk about in the chapter. Including an audio of the meditation I wrote for the book. I am truly honored to be a co-author in this power book series that is set to help change the world! 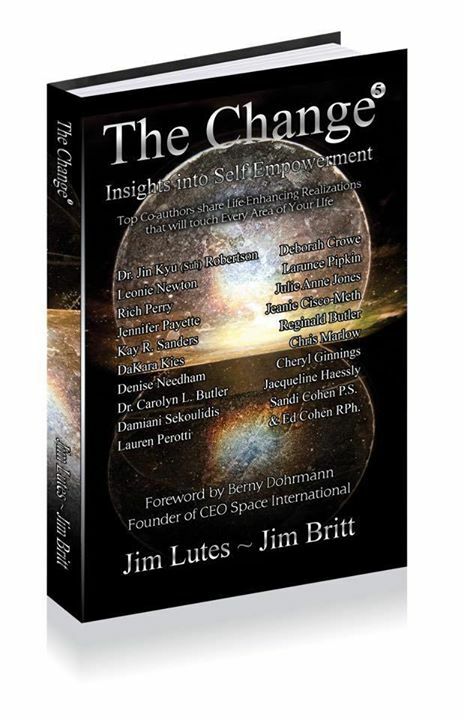 Jim Britt and Jim Lutes are powerhouses on the planet! They are the beautiful souls behind this project, this series is staged to take the world by storm! This book series is taking the world by storm! They recently completed book 13 and are looking for Authors for book 14! If you have wanted to be an author, get major exporsure to your work, reach out to me on the Contact us page linked above and I will share the deets with you! This is an amazing opportunity to get your name and work out in the world! Much love and blessings to you from my heart to yours! P. S. CLICK HERE to purchase your author signed copy today! P.S. I also have an eBook version available on this page as well.